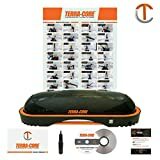 What makes the best ab machine for home use? Is it the design, the price, the range of motion or the adjustability? It’s hard to tell what makes one ab machine better for you than the others. Truth be told, the best ab machine for home use usually has a good balance between all those features. You don’t want something too simple, otherwise it wouldn’t be much better than just using the floor. To smooth things along, we’ll present you five of the best home workout machines that have the ability to condition your abdominal muscles for both definition and strength. We’ll also explain what features may be more important than others depending on your needs and current conditioning. This ab machine is one of the most comfortable and versatile for home use. It has many adjustable features and a strong build that should last you for years to come. The padded seat has four adjustment height levels between 21” and 29”. The chest pad and foot support are also adjustable. Altogether you get up to 28 different combinations. This gives you plenty of variety in just one machine. The DE-5 can be used on its own or with weight plates. You can use standard plates with a 1” center hole or 2” Olympic plates. It all depends on how intense you need your workout to be. The Olympic spring clip and the adapter are included but the weights are not. The foot pads are covered for extra stability and to ensure you don’t ruin your flooring. The DE-5 comes with its own storage bag which you can use either for the machine or the extra weights you have lying around. Because of the superior range of motion, you can also train your obliques with the DE-5 for that V-shaped torso. You also get a decent warranty of 3 years on the frame and 2 years on the pads, which adds even more value for the money. This device is popular among people with back pain and those who travel a lot. 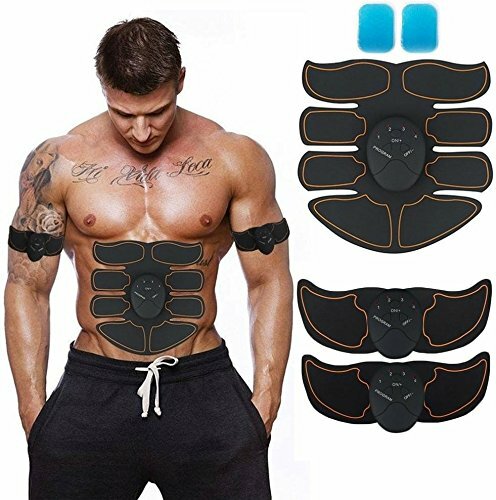 That doesn’t mean that it doesn’t have a strong case for being the best ab machine for home use, as it caters to a very large audience. The JoJoMoon EMS Muscle Toner is a very interesting choice. It allows you to put in a hard workout even if you don’t have 20 minutes to spare every day. The fact that you can let it work under your clothes and get on with your day is convenient. In addition, the belt and the additional straps come with 15 intensity levels. At the higher intensity levels, you might not be able to multitask as the muscle contractions can be powerful. The fact that it’s a portable ab trainer is even more convenient. It’s not only small and easy to carry but also runs on batteries so you won’t have to rely on a power source. The gel pads are high quality and make the belt comfortable. They also improve the efficiency of the contractions by up to 30% when compared to competing products. The three controllers can be strapped to the belt and the corresponding straps so you don’t confuse the intensity levels. Be aware that this is ab machine isn’t recommended if you have a pacemaker. Sometimes a simple sit up ab bench is all you need to get a good sweat going. 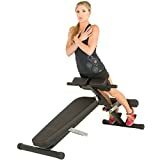 Although it doesn’t allow for rotational movements, the FEIERDUN Sit Up Ab Bench lets you do extensions and crunches with ease and correct posture. 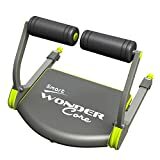 This sit up bench could very well be the best ab machine for home use if you don’t require anything fancy. If you want to work both lower and upper abdominals as well as your lower back, it’s more than enough. 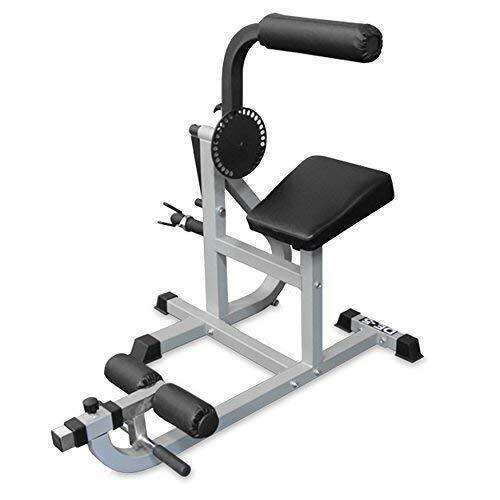 The bench works for both incline and decline exercises and comes with four adjustable height levels. This can take you from beginner to pro level of training but keep in mind that to get gains at a high level, you will need to utilize weights in your exercises. The weight capacity of 220 lbs. allows this bench to appeal to a wide range of customers. However, it does limit your ability to use it if you’re over 6 feet tall. On the other hand, the curved bench design makes it more comfortable for beginners. This is another beginner-friendly device that aims to be the best ab machine for home use. It just might be the one considering the interesting approach to contracting your muscles while also allowing for chest and bicep development. The Ab Coaster Max is a very safe machine first and foremost. It contracts your muscles using a bottom-up motion that’s easy on the back. It can also be used sideways if you want to put more emphasis on your obliques. Since it’s easy to use, you might want to commit to a longer workout with more repetitions. You can also add some weights—either a vest or some plates on your legs. The 300 lbs. capacity allows you to do this if you really want to get shredded. The steel construction gives it excellent durability and stability. The manufacturer also offers tailormade meal plans and exercise programs for getting the most out of the Ab Coaster Max. This is one of the most popular ab rollers on the market. It trains multiple muscle groups and can be adjusted for intensity. 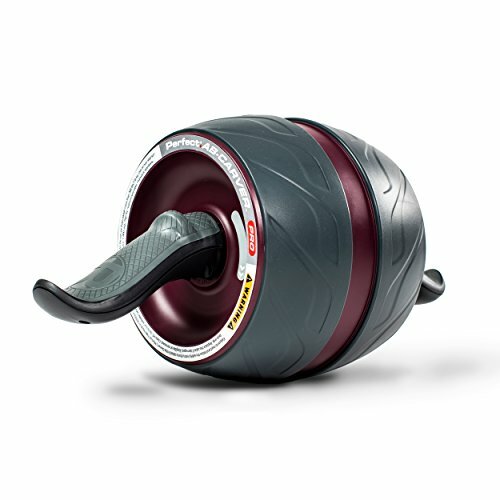 You can learn more about how the Ab Carver Pro compares to other ab rollers in our complete review of the best ab roller wheels. The Ab Carver Pro is considered by many to be the best ab machine for home use. However, it’s worth pointing out that with this device you’re conditioning your core rather than sculpting a 6-pack. The reason for this is that you’re using your entire body to extend and contract your muscles. This means that the abs are just as engaged as your shoulders, arms, back, chest, hamstrings and so on. 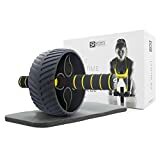 That being said, it’s a very good full-body workout device and it’s an affordable one too. The wheel has excellent stability due to the wider thread, which makes it suitable for users with broad shoulders too. The spring-action resistance is adjustable and surprisingly useful, with a wide enough range of resistance to suit different user levels. However, after using the Ab Carver Pro religiously for a couple of weeks, you will want to use a weight vest to further your gains. The grips are ergonomic so you won’t have to worry about long workout routines. There’s also a workout plan offered by the manufacturer, which should keep you busy when you’re out of training ideas. The Ab Coaster Max by Tristar Products is probably the best ab machine for home use in 2018. 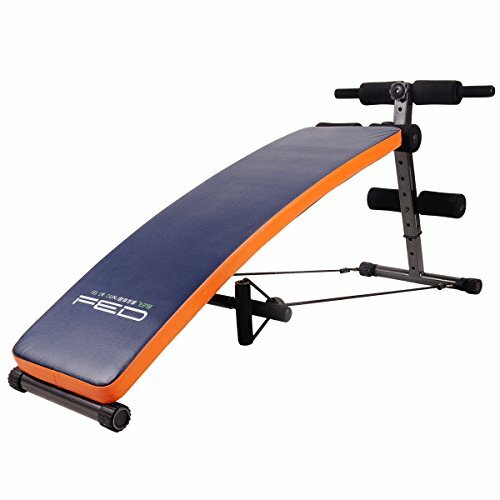 It offers great range of motion and has superior durability and stability when compared to most ab machines in and above its price range. The extra weight limit makes it perfect for muscle gains at home as it allows you to increase the resistance on your body and take your training to a new level. 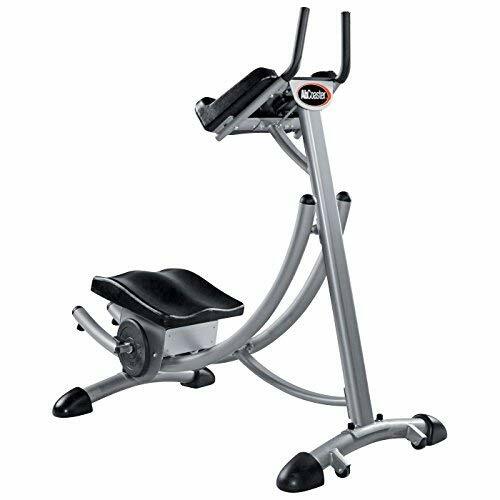 In its basic form, it’s great for correcting posture and that makes it a good machine regardless of skill level and conditioning. 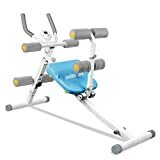 If, however, you’re looking for something more budget friendly, the Perfect Fitness Ab Carver Pro is also a good choice. It’s very portable and puts your whole body through the motions. It may not be the most beginner-friendly apparatus though, so keep that in mind.